CapitaLand plans to launch in second-half 2008 a freehold condo named Urban Resort with about 70 units on the Silver Tower site in Cairnhill. The average price will definitely be above S$3,000 psf, CapitaLand Residential Singapore CEO Patricia Chia told reporters after the group announced Q2 net earnings. ‘I will be quite disappointed if it’s below S$3,000 psf,’ CapitaLand Group president and CEO Liew Mun Leong said. The property giant has also sold 11 of the 40 units released so far at Latitude at Jalan Mutiara in the River Valley area at an average price of S$2,400 to S$2,500 psf. 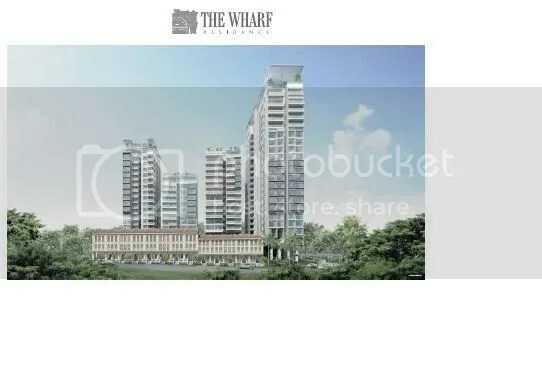 Over at Tong Watt Road, it has sold close to 30 of 80 units released recently at The Wharf Residence; prices range from S$1,500 to S$1,900 psf. The project has a total 127 units. Latitude comprises 127 units in total. Please contact us if you need further details on the above-mentioned projects or any other projects’ details. We would be more than happy to be of assistance. THE bad news coming out of the United States last week took its toll on property sales in Singapore over the weekend. Two newly released projects sold fewer than 20 units each, as homebuyers’ caution deepened after the collapse of US bank IndyMac and the forced rescue of mortgage giants Freddie Mac and Fannie Mae. CapitaLand’s Wharf Residence in Tong Watt Road, which started taking bookings over the weekend, sold just over 10 units, sources said. The 173-unit condominium off River Valley Road is priced between $1,500 per sq ft (psf) and $1,900 psf. Unit sizes start at about 1,000 sq ft, so a two-bedroom unit costs $1.6 million to $1.7 million. 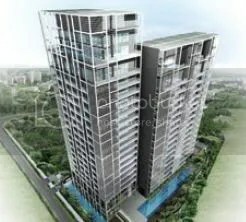 Meanwhile, Frasers Centrepoint sold about 19 of the 48 units it released at Woodsville 28 near Potong Pasir MRT station. But the developer, which priced the units at an average of $880 psf, said it was ‘quite encouraged by the take-up rate’. ‘It was above our expectations, given the general sentiment in the market,’ said a spokesman. Woodsville 28 has two- and three-bedroom units, starting from 829 sq ft, with an average two-bedder costing about $755,000. Sales also continued at a snail’s pace at other condos that have recently been launched, despite reports of large crowds at showflats. OLA Residences in Mountbatten Road has sold only about 10 of its 50 units since sales began three weeks ago. ‘There are a lot of walk-ins but offers from buyers are coming in too low,’ said a property agent. The freehold project is priced at about $1,200 psf on average. Two smaller projects, The Scenic@Braddell in Braddell Road and Jubilee Residence in Pasir Panjang, have sold about 10 units each in the last few weekends, putting them at the halfway mark in sales. The Scenic is priced at $820 psf to $850 psf, while Jubilee is going for $900 psf. Cheaper projects are seeing better sales. Buyers have picked up more than 60 of the 212 units at Beacon Heights in St Michael’s Road for an average price of $800 psf, agents said. The 999-year leasehold condo developed by Kim Eng Securities started sales two weekends ago. ‘Buyers are still waiting to see if prices go down further, and this will continue until the US situation stabilises,’ said Mr Ku Swee Yong, director of marketing and business development at property firm Savills Singapore. Special Feature: Situated on high ground, there are 13 Vintage Houses conserved in their entirety, providing a pleasant contrast to the contemporary structure of the apartment blocks sitting behind. Facilities: sky terrace on the 24th floor, with outdoor cooking pavilion, overlooking the breathtaking city skyline. Interest absorption & Stamp duty reimbursement.